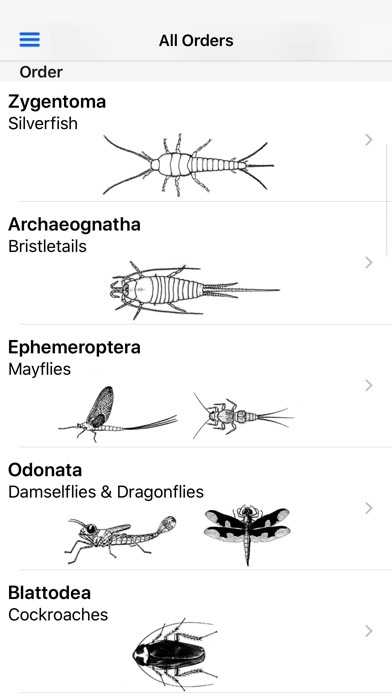 Insects of South Africa is an app designed for any and all insect enthusiasts. With detailed descriptions of over 1200 of the most ecologically important insects in the region, it’s the perfect field tool for professional and amateur entomologists. Many of the species described occur widely in the rest of Africa, making the app useful to students, nature conservation officers, game rangers, gardeners, farmers, tourists and anyone with an interest in natural history. This app is also great for farmers, gardeners and agriculturists who need to identify insects based on the host plants they inhabit. 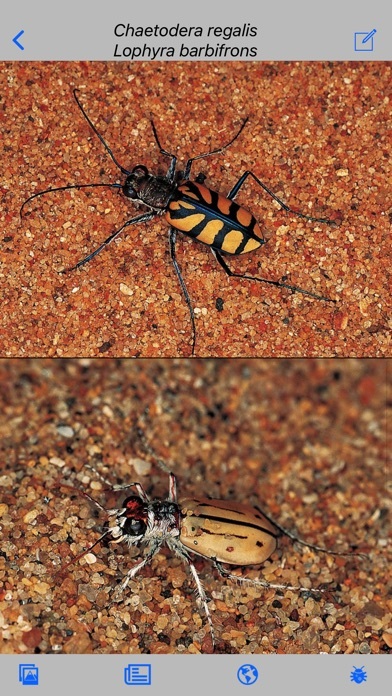 FEATURES INCLUDE: •	Over 1200 unique South African insect families and species. •	Latest expert findings, accurate information and key ID pointers. •	Over 1500 beautiful, detailed photographs. 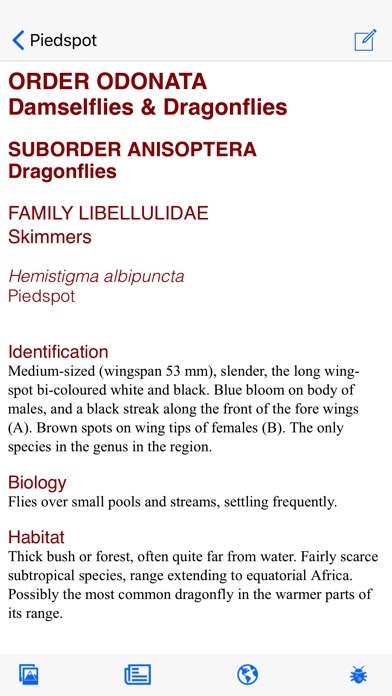 •	Distribution maps for all families and species. 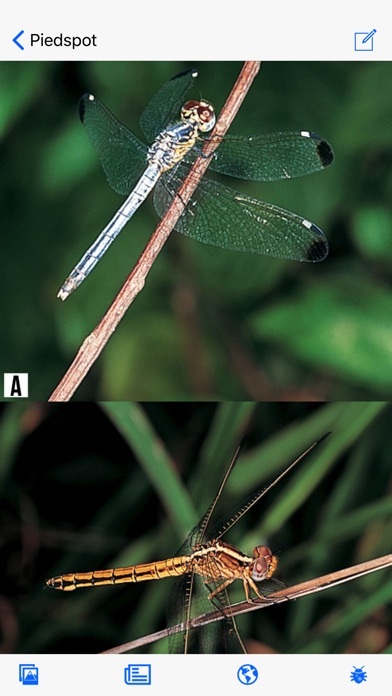 •	A host plant index that helps you identify insects by the plants they inhabit. 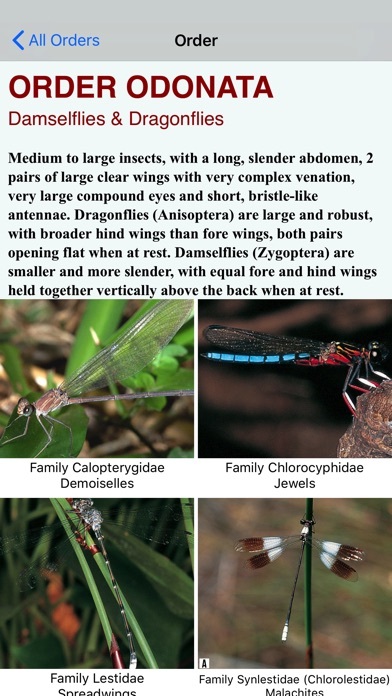 •	A Life List that records your insect sightings. •	A split screen comparison feature to view two species side-by-side. •	Index categorised by English or scientific names. JOIN OUR GROWING COMMUNITY If you’ve got a few comments or great suggestions to share, we’d love to hear from you at www.mydigitalearth.com ADDITIONAL NOTES * Uninstalling/reinstalling the app will result in the loss of your list. We recommend that you keep a backup from the application (My List > Export). Please take note of the size of the app and ensure you have enough free space on your device. Please ensure you use a WiFi connection to prevent additional data costs.